You don’t need a big team nor a huge office to achieve great things. What you need is a creative, diverse and impact-driven team like ours – one that works effectively, cooperates closely with network partners and keeps the overheads low. We’re glad to meet you! 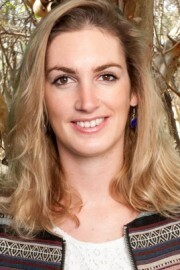 Annemieke Beekmans has a background in social cultural science. From 1996 to 2008 she worked in Latin America and Africa, advising NGOs and the public and private sector on poverty reduction through sustainable investment and sourcing. 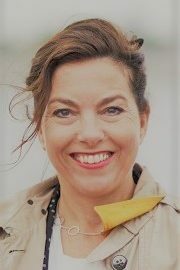 In 2009, Annemieke joined Aidenvironment to work on sustainable value chain development, agro-commodities and corporate social responsibility related assignments. In April 2015, Annemieke Beekmans is appointed as Director and Executive Board member of Aidenvironment and RAIN. 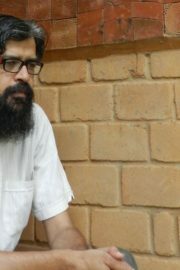 Holds a college diploma in civil engineering and forestry with a specialization in nature management. 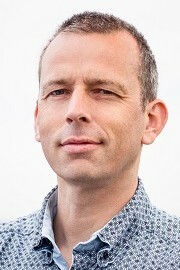 Niels Lenderink is a hydro geologist who started as a teacher of geography and science in the Dutch secondary educational system. 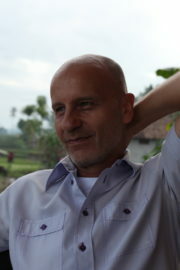 He worked in Asia and Africa for the French NGO Action Contre la Faim and the Dutch NGO WASTE, as project manager, adviser and trainer in WASH. For Aidenvironment, he now manages the WASH Alliance International Programme internally at RAIN, and is programme officer for Mali and Ethiopia. Worked on a number of research projects on biodiversity, natural resource management, community-natural resource interactions, and REDD+ and PES. I am a RAIN associate Program Officer in a project called Igunga Eco-village in Tabora, Tanzania and at the same time I am a Young Expert in Water sector, coordinated by the Ministry of Foreign Affairs and the Netherlands Water Partnership and the Food & Business Knowledge Platform. I am a representative of 3R consortium formed by MetaMeta, RAIN, Aqua for all and Acacia water. As a ground person I am acting at the centre of communication and implementation of 3R interventions (i.e. well drilling, Rainwater Harvesting Technologies, ground water recharge and WASH activities) in the project areas, ensuring that all are well implemented as planned. Among others my activities are mapping and documenting all existing water resources, irrigation and piped water systems in Igunga ecovillage. Other activities: conducting water, sanitation, hygiene and baseline surveys. Logistical support to SHIPO in implementation of 3R intervention and WASH.
worked in various projects on remote sensing technologies and ILSSI (Innovation Lab for Small Scale Irrigation), LIFELAND Project (Laying the Foundations for Effective Landscape-Level Planning for Sustainable Development in the Southern corridor of Tanzania, SAGCOT corridor), Geo-wiki land cover classification project using a simple GIS classification tool. 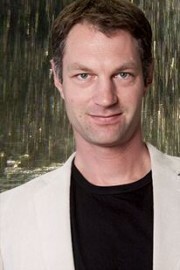 Yvon Meltzer has a background in Social Cultural Anthropology and International Business Management. Her studies focused on social issues relating to sustainable development, such as human security. For her Master’s thesis, Yvon conducted field research in Colombia and explored the influence of collective action and formalization in the national recycling sector. Her diverse postgraduate activities enabled her to consolidate her practical experience and broaden her knowledge of social, environmental and economic sustainability issues. 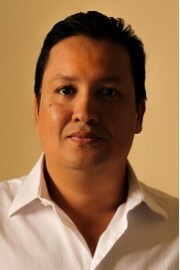 Orlando Mejía has a background in agronomy, agricultural economics and GIS. Since 1996, he worked in Honduras and Nicaragua on the monitoring and evaluation of economic development programs, integrated watershed management projects, agricultural research and impact assessments. In 2015, Orlando joined Aidenvironment as RAIN representative in Honduras to implement M&E and KM systems for the SDC Community Watershed Management in Goascoran River. 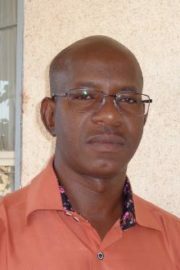 Abdourahmane Ousmane, Secrétaire Exécutif at Association VDS Burkina Faso. Abdourahmane Ousmane is Executive Secretary of the Burkinabe NGO VDS (Volontaires pour le Developpement du Sahel), which he established together with his close friend and fellow student Ali Badara Diallo in 2001, making their childhood dream a reality. Since almost 15 years they are successfully accompanying local initiatives to pilot and scale up innovative techniques for a sustainable management of natural resources in Northern Burkina Faso. contributing to advocacy initiatives at local, regional and national level to support RWH for food security. Alex Oduor is an Engineer by profession with an MSc. Degree in Water and Environmental Resources Management and 25 years experience in Agricultural Engineering. 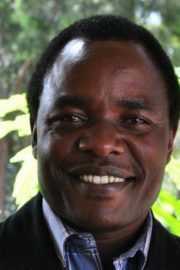 Mr Oduor has considerable experience in Water, Environment and Agricultural Engineering Research and Extension, with special bias to Soil and Water Engineering. His skills are more pronounced on: Research & design of Soil & Water Environmental Engineering infrastructure; Technological development for Rainwater Harvesting; Soil Erosion & Environmental Conservation and Documentation on Land Management. 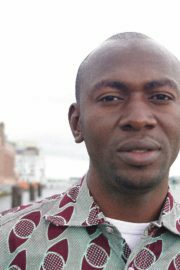 Alex Oduor Programme Officer – Water Management at World Agroforestry Centre Kenya. “Mali’s development depends on the access to water of the urban and rural population on a permanent basis. The Rain for Food programme provides specific knowledge and specific solutions on how to achieve this”. Banzoumana Coulibaly is a Young Expert and working as technical advisor for Rainwater Harvesting Capacity Centre / Helvetas, Mali. Lectures for students at the national engineering school ENI. Information sessions with government bodies, to explain the importance of the collection of rain water in times of abundance, to provide drinking water for the population in times of scarcity. By giving sound and continuous argumentation to the public and state, he seeks to influence the national strategy for water supply and stimulate the required follow-up by the state. Awareness and experience exchange via the online platform rain4food.net and the ‘sharing docs’, ‘wiki’ and Community of Practice functions. “Water is the source of life and our most precious resource. With its proper management and application through innovative models and technologies, we will create prosperity and a better quality of life for our future generations”. 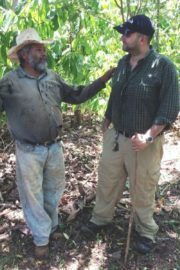 Carlos is the Country Director of iDE (International Development Enterprise) in Honduras. While iDE focuses on creating income and livelihood opportunities for poor rural households, Carlos has integrated rainwater harvesting into the country office’s day-to-day work. He supports the idea that only with reliable water supply (via rain retention), water can be effectively used (with drip irrigation) to increase household level food, water supply and income (through surplus production). Piloting: currently iDE is constructing a Pilot rainwater harvesting tank of 24m3 capacity in the southern, very dry and rural area of Honduras. The tank will be connected to a drip irrigation and pumping system for agricultural use. To maximize the chance of structurally scaling up, the project is supported and accompanied by the Ministry of Agriculture, large international donor programs and RAIN from the beginning. Lobby & advocacy: in front of donor/government agencies, to include the integrated approach. Fund raising: participate in calls for proposals, for increased RWH use for crop production, climate change adaptation, resilience building, etc. “I am strongly convinced that rainwater harvesting is the best way to adapt to climate change and guarantee water and food security in the Andean countries”. 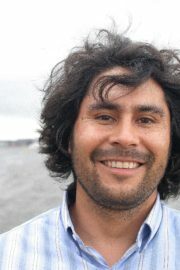 Edwin Rodriguez Valle is Programme Officer at the Andean Network for Rainwater Harvesting, CBC in Peru. Linking and learning; build the internal structure of a regional rainwater harvesting ‘hub’, by exploring connecting and strengthening existing networks/actors. Knowledge management and exchange on a global basis. All of the above to strengthen a regional and trans-regional rainwater harvesting movement. As a rural water engineer Han Heijnen has been active in several countries in South Asia and Africa.Rainwater harvesting and conservation has become a field in which Han has been able to support important developments in countries. Currently Han is supporting practice through a Nepal based NGO, and policy and promotion as a board member of IRHA in Geneva, and Vice-President for external relations of IRCSA. Contourline Swales combined with the Restoration of Soil Biology is the most efficient way of rural RWH. and, over time, lead to year-round sustainable food- and crop production. Alexander currently teaches the system to small-holders and plans to extend it to workshops for villages and larger farming communities. 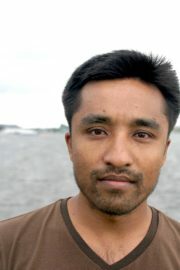 Saroj Yakami is a Young Expert and Programme Officer at MetaMeta in Nepal. Saroj actively supports the role and update of rainwater for crop production in Nepal during his work at MetaMeta. talk programmes on radio or national television on rainwater harvesting, climate change and 3R measures. When we started the www.rainwaterclub.org in circa 1991 we were sure that rainwater would be a huge part of the solution to the water crisis. We have learnt and seen it providing solutions for supplemental water , for safe water in areas of water quality problems, for agriculture as a supplement and the traditional history of water harvesting in india is seeing a renaissance in many modern avatars. Happy to be a part of the global knowledge network to share and learn from all over on rainwater for food. Promotion and lobbying: to integrate RWH into national water agendas. Promote RWH pilots and innovation projects. Knowledge Management: identify, create, promote and disperse valuable information and innovations in the sphere of RWH initiatives. Personal positioning: create a strong personal exposure and branding, as stepping stone towards creating intended global RWH movement.